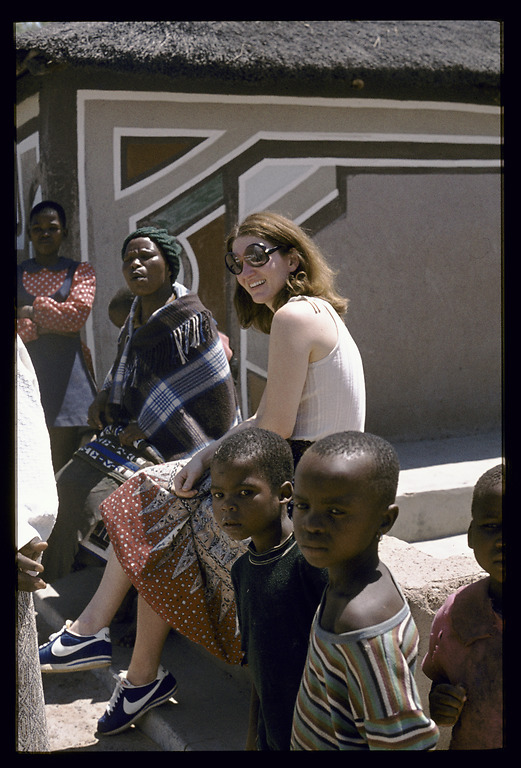 The Eliot Elisofon Photographic Archives (EEPA) is pleased to share the Natalie Knight and Suzanne Priebatsch Collection (EEPA 2012-010). 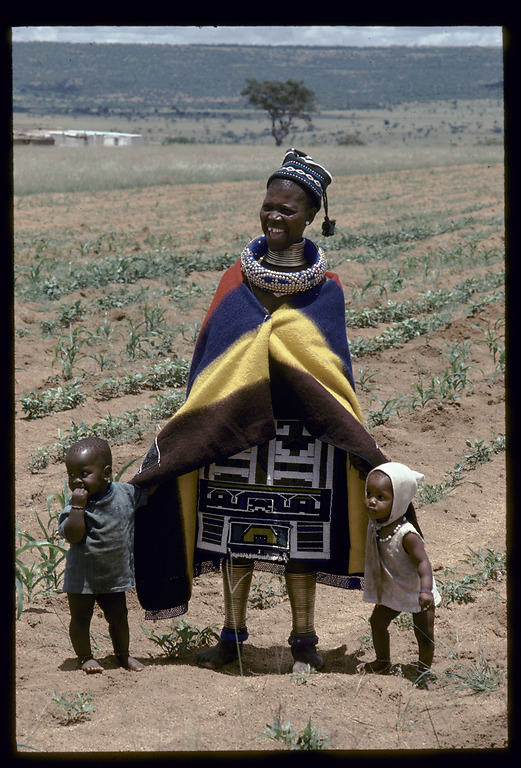 The collection consists of 1,305 color slides, primarily documenting the Ndebele peoples of South Africa (circa 1977-circa 1983). The images have been digitized and are available online. In the coming year, the negatives in the collection will also be digitized as part of our Pioneering Women Photographers in Africa project. 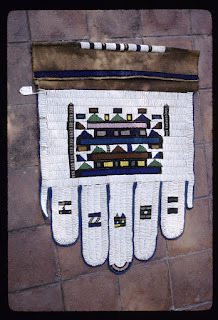 Art gallery owner, collector, curator, and art critic Natalie Knight and educator, writer, and business woman Suzanne Priebatsch traveled together in the 1970s and 1980s to research and document the Ndebele peoples and arts of South Africa. In 1976 these two intrepid women set out to explore and photograph the activities, kraals (homesteads), architecture, murals, cultural ceremonies, and ornamental objects of the Ndebele peoples. 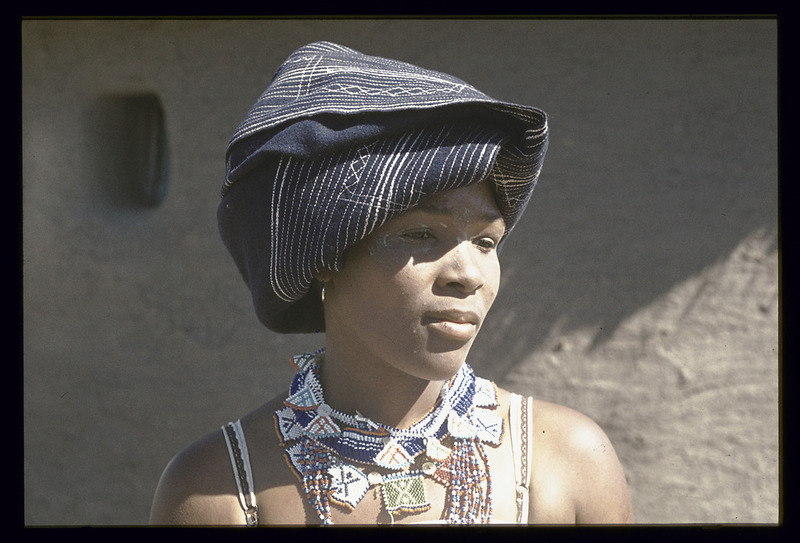 Traveling widely in South Africa, including in Mpumalanga, Limpopo Province, Delmas, Loskop, and Nebo, the women gained insight into the indigenous South Africans' cultures across the country. 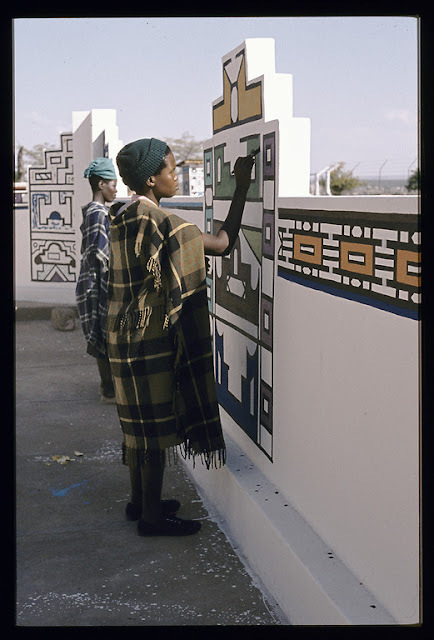 "I ardently admired the beautiful Ndebele design ethos. I was also fascinated by the social changes which were depicted in the beadwork and murals and immediately recognised their importance as cultural artefacts. It was not a view shared by the vast majority of white South Africans, who dismissed black culture as ‘primitive’." A major traveling exhibition, Designs of the Ndebele (Smithsonian Institution Traveling Exhibition Service (SITES), which traveled through the United States from 1979 to 1981, was followed by the publication of Ndebele Images (sponsored by Castle Milk Stout in South Africa) in 1983. This publication and exhibition, along with the exhibition, Art of the Ndebele: The Evolution of a Cultural Identity (Atlanta International Museum, 1998) provide documentary evidence that the Ndebele women's artwork is anything but “primitive”, but rather highly sophisticated. In sharing images of Ndebele ornamental objects that are crafted and worn by women, including leg and neck rings, maces, Nyoga (snake), Pepetu, Jocolo, Linaga, Nguba, Ghabi, Breast Plates, and Scotch, the women significantly increased the public's understanding and appreciation of the Ndebele women's unique artistry. While they primarily documented Ndebele peoples, Knight and Priebatsch also photographed the Venda, Zulu, Xhosa, Swazi, Sotho, Tsonga/Shangaan and Tswana peoples. 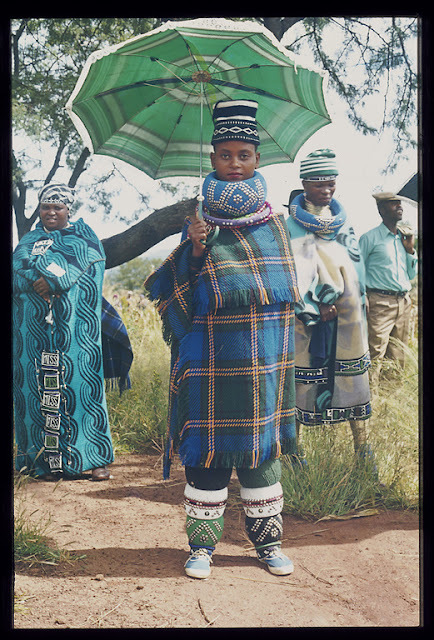 Capturing images from little-documented ceremonies including the Domba Initiation Dance, a Zulu wedding, and a Swazi Reed Dance add to the richness of the collection. For examples of Ndebele art held by the National Museum of African Art, see here. to make an appointment) to see more of the collection, which includes photographic prints, exhibition announcements and catalogs, articles and clippings, correspondence, and research notes. 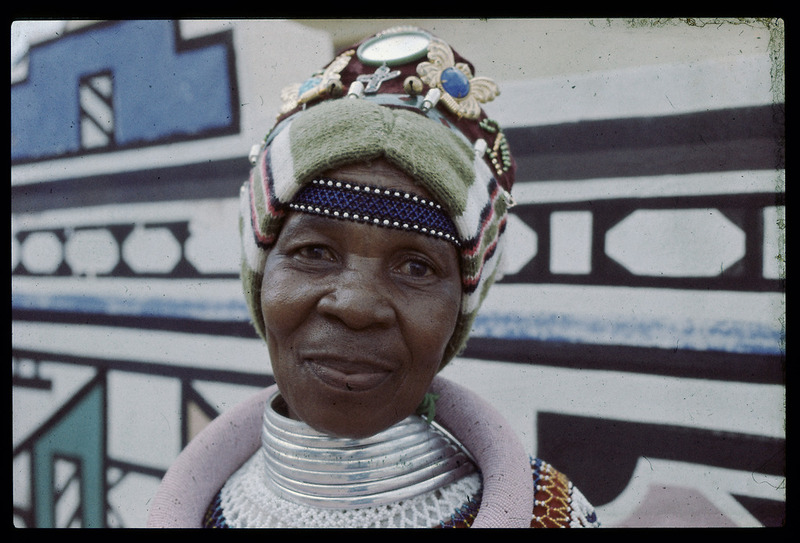 The collection also contains three DVDs: Dungamanzi: Stirring Waters, Tsonga and Shangaan Art from Southern Africa, and two that document the exhibition l'Afrique: A Tribute to Maria-Stein-Lessing and Leopold Spiegel (Museum Africa, 2009), which was curated by Knight. 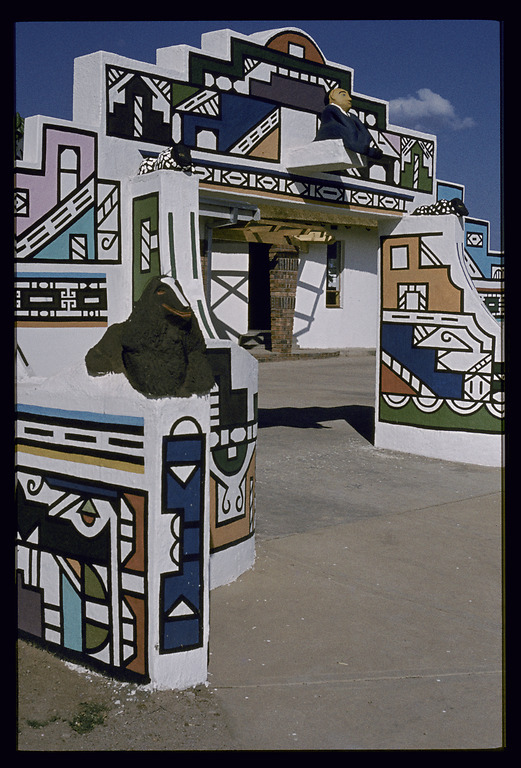 Natalie Knight Gallery in 1983), who also photographed among Ndebele peoples in South Africa. 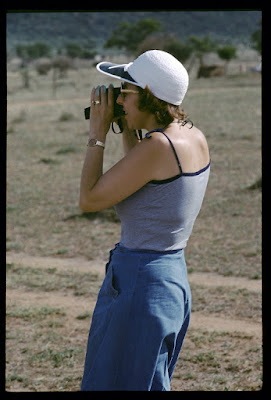 Next month's blog will feature art historian and photographer Jean Borgatti. Please see below for additional biographical information for Knight and Priebatsch. 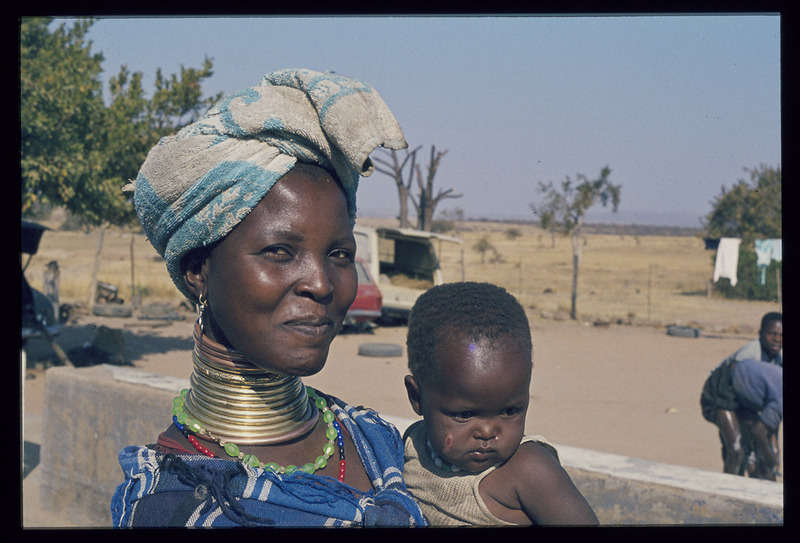 please contact the Eliot Elisofon Photographic Archives, National Museum of African Art. Southern Africa) at JAG 2007 and l'Afrique: A Tribute to Maria-Stein-Lessing and Leopold Spiegel at Museum Africa in 2009. From December 2008 through 2012, Knight served as Art Curator for the West Campus at Wits University. In 2013 Knight curated the exhibition We Love Mandela: Art Inspired by Madiba, which previewed at the Peacemaker's Museum in Sandton to celebrate Mandela's 95th birthday (July 18, 2013), and (in October 2013) at the South African Embassy in Trafalgar Square, London. In 2014, she received the Lifetime Achievement Award in the Arts and Culture section from CEO Magazines "Most Influential Women in Business and Government". In 2017 Knight published her Art-O-Biography, The Big Picture, which documents the major events of her professional career. Knight has three children, twelve grandchildren, and four great-children. has two children, Daniella and Seth.